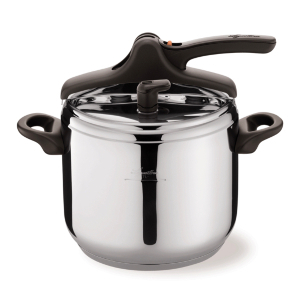 It starts gradually releasing steam once the internal pressure reaches the set cooking temperature. 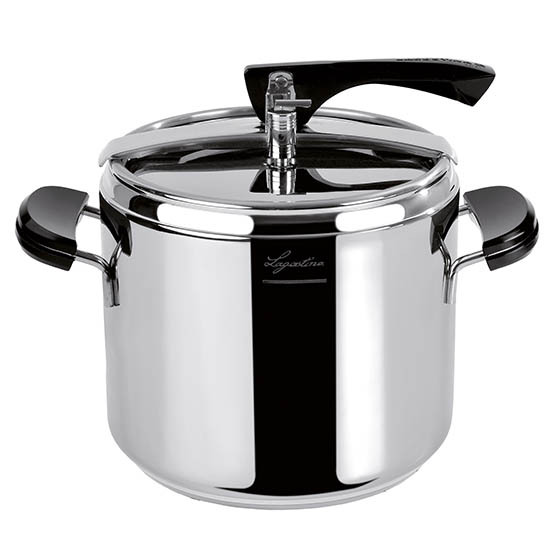 Prevents accidental opening until all the steam has been vented from the cooker. 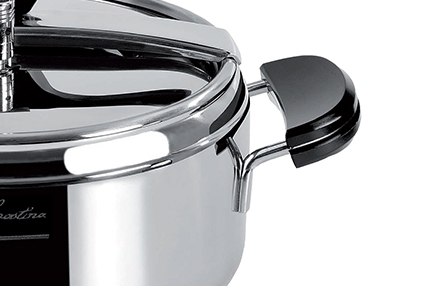 It starts venting excess steam. 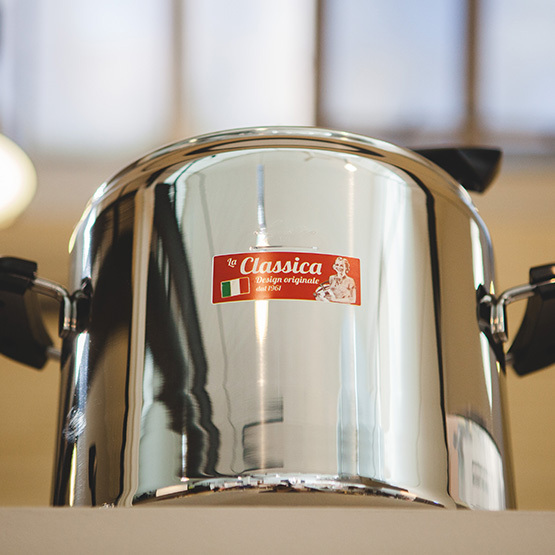 The original design since the '60s characterise La Classica Lagostina. 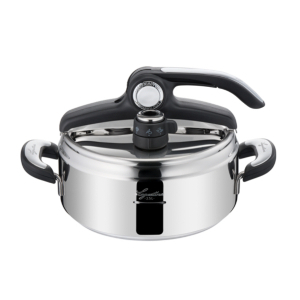 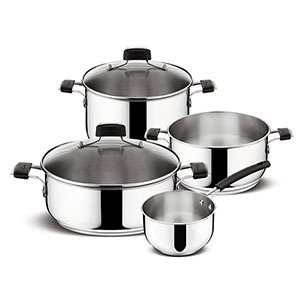 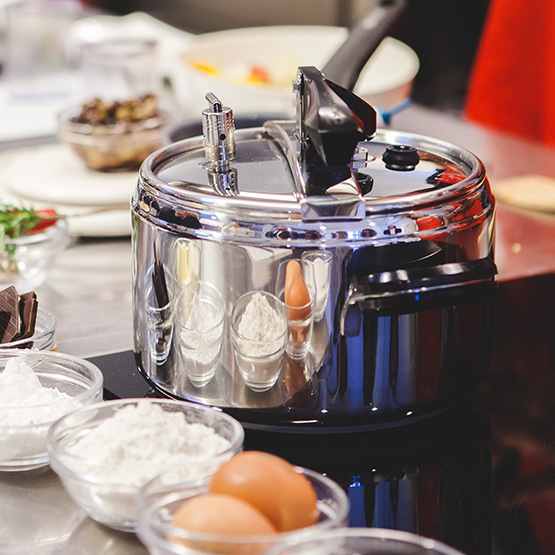 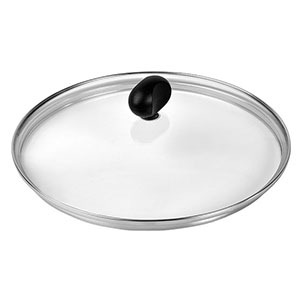 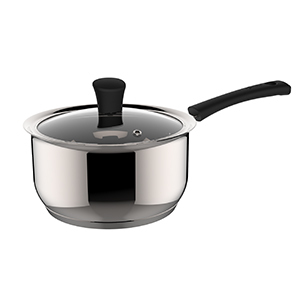 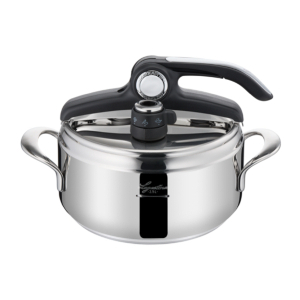 This pressure cooker has a traditional weight valve, easy to use and clean and a practical bakelite handles with a slightly curved shape for a firmer grip.